Unfortunately, in Australia, just over half of marriages will end in divorce. 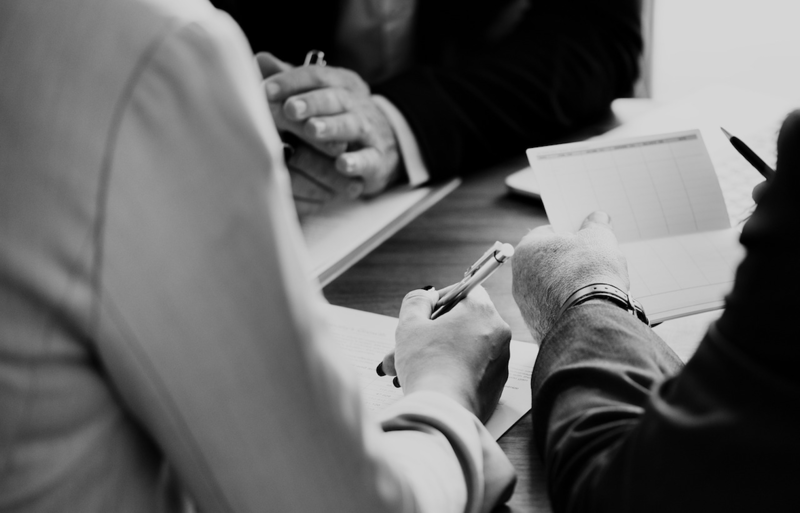 While most people realise the importance of hiring a lawyer when they’re getting divorced, many people fail to address the importance of hiring a financial planner as well. With an experienced financial planner, you can prepare for a life of financial independence and be better equipped to handle the changes that inevitably emerge during a divorce. My Wealth Solutions is dedicated to providing each of our clients with financial security no matter what types of turmoil they may be enduring. Our experienced staff are committed to creating personalised solutions that are goal-oriented and are suited to your situation and lifestyle. Australia is a nation that experiences upwards of 55,000 divorces per year. One of the most difficult parts of getting divorced is determining how each of your assets will ultimately be managed. 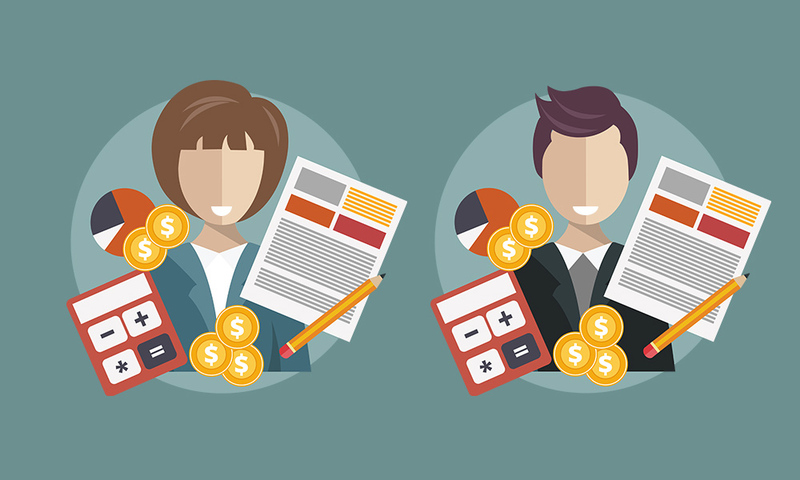 Even once you and your spouse have divided your assets with a legal team, there are still a number of variables that need to be accounted for. We are here to help you understand the implications that your change in circumstances might have to your short, medium and long-term financial future. We’re able to do this by creating a wealth management strategy that is tailored to your situation. As the landscape of your financial world changes, it can create a lot of uncertainty and so it is good to have someone in your corner that takes the worry out of your finances. A divorce can have a tremendous impact on the overall shape of your financial situation. Having access to a qualified wealth management team will guide you through this testing time to help achieve your long-term financial goals. Your post-divorce financial situation may be significantly different in a variety of ways. If you are no longer the owner of your home—which for most Australians, is their largest financial asset—you will inevitably experience changes regarding your total wealth and total liquidity. Other common sources of change include the sudden need to provide spouse maintenance payments, child support payments, or a sudden loss of income. If any of these changes do end up occurring, your financial plan will need to reflect that. Getting a divorce or separating from your partner doesn’t mean you need to be in a worse financial position. With financial independence, you can begin working towards your own specific personal financial goals. Getting involved with superannuation and regular investment strategies can help you accumulate personal wealth over time. During what will be an emotionally charged time, it is important not to be rushed during the process and ensure that all details that impact your financial life are not overlooked. One of our financial advisors will be able to work with you to help you understand what is happening and what you can do with your money for years to come. Though getting a divorce is never easy, that doesn’t mean it is not possible to establish (or maintain) your sense of financial security. With the right wealth management team on your side, you can still achieve your long-term financial goals and also do so independently. If you are someone who is in the process of getting divorced, we encourage you to learn more about the wealth management services we have to offer. You may be surprised just how possible it is for you to immediately become financially independent. 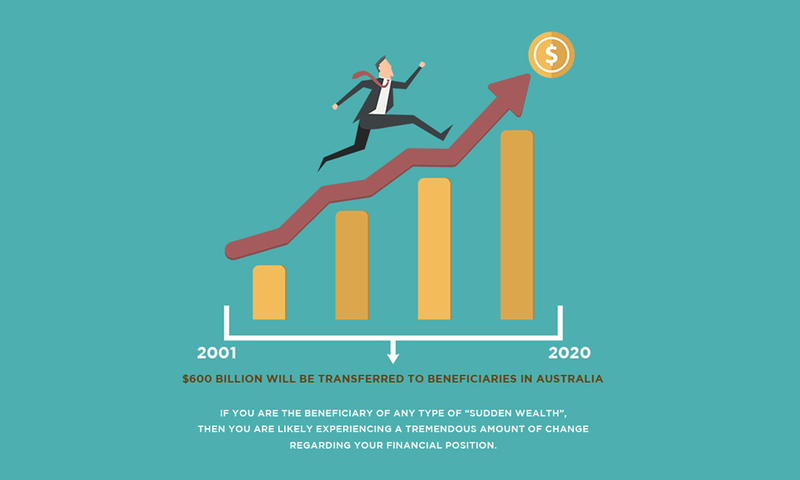 Current estimates suggest that between 2001 and 2020, $600 billion will be transferred to beneficiaries in Australia. If you are the beneficiary of any type of ‘sudden wealth’ from your settlement, then you are likely experiencing a tremendous amount of change and potential uncertainty regarding your financial position. In order to make sure you are able to smoothly transition into this new stage of life, it is important to find a team of financial advisors that can help you manage your wealth responsibly. We specialise in dealing with individuals who have received sudden wealth and developing plans to ensure this wealth brings them the financial security they desire. My Wealth Solutions has the experience and knowledge necessary to help you navigate a wide variety of financial opportunities and obstacles. Total wealth in Australia has grown tremendously over the past few decades—naturally, there are a lot of individuals with some very important decisions to make. 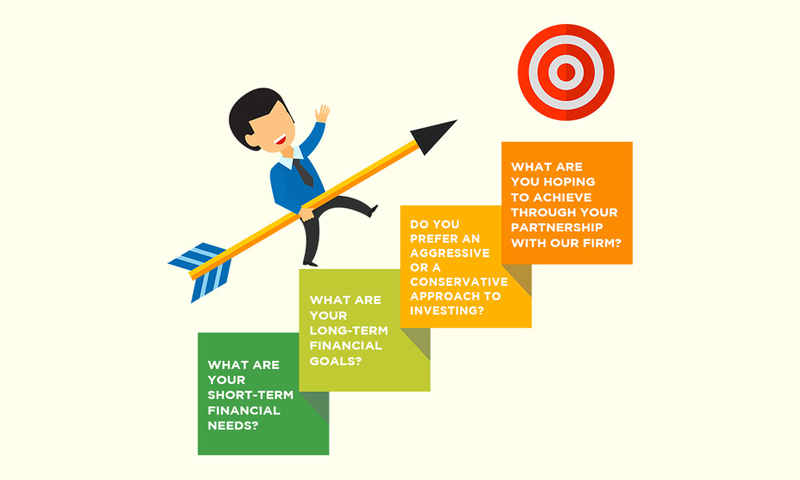 Our team operates creates each financial portfolio with our client’s specific needs in mind. We understand the challenges that emerge with any legal settlement and, based in Brisbane, we are here to help you along the way. There are many different sudden wealth situations you may be involved with and each of these settlements has a unique set of challenges associated with it. We have extensive experience dealing with the individuals/couples that have received a significant amount of wealth, the most common we’ve dealt with is from a divorce settlement. Whether you are better or worse off financially, any sudden change to your financial well-being is something you are going to need to plan for. Having access to a qualified team of financial advisers—such as the team you will find at My Wealth Solutions—will benefit your financial portfolio for years to come. 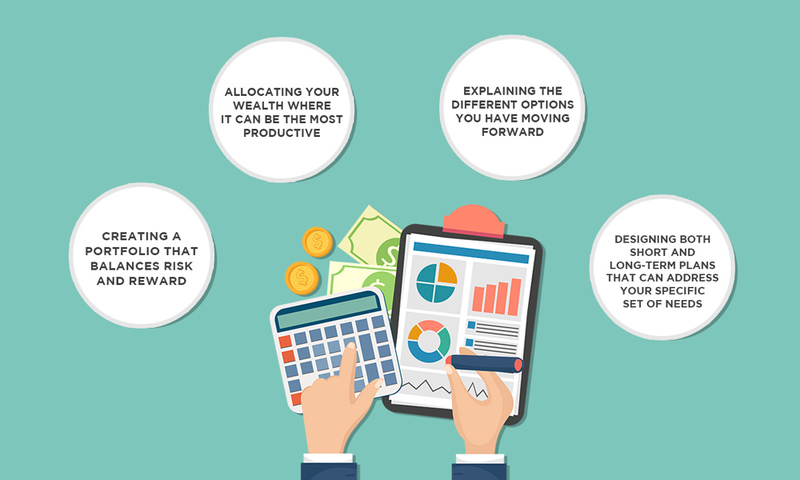 One of the primary reasons that people consistently choose My Wealth Solutions is our unique ability to understand what is important to you and how your financial plan can help you achieve this. When you first meet our wealth management team, we will take the time to get to know you and make sure we understand exactly what it is that you are currently looking for. Do you prefer an aggressive or a conservative approach to investing? What are you hoping to achieve through your partnership with our firm? The primary difficulty faced by individuals going through a major financial settlement is that, whatever type of settlement they may be facing, their financial well-being will immediately change. Change is often incredibly overwhelming. But with the right wealth management team, this change can be the start of a journey to a secure financial future. Whether this change affects your tax status, your investment pursuits, your financial well-being, or anything else, we will clearly illustrate the pros and cons associated with each of the decisions you can possibly make. The team at My Wealth Solutions understands that every financial situation is entirely unique. We don’t have a one-size-fits-all approach to investing. Instead, we will address your specific situation and do so with your personal financial goals in mind.